The sunn pest are a group of insects representing several genera of the shield bug and stink bug families. The sunn pest lives for one year and produces a single generation per year. About three months are spent feeding in wheat fields. The rest of the year is spent resting and in hibernation on hillsides which are usually about 10-20 km from the wheat fields. In spring, the surviving adults migrate down to the wheat fields in one non-stop flight and, after feeding, mate and lay eggs. The adults of the next generation appear and feed intensively in order to accumulate fat reserves for the hibernation period. They return to the higher elevations following wheat harvest. Sunn pest feeding on wheat results in yield loss as most of the kernel contents can be sucked out by the insect, resulting in smaller, lighter, and shriveled kernels. In addition, the sunn pest injects digestive enzymes to liquefy the wheat tissues into a nutrient-rich slurry. In some countries, foliar applications of insecticides to control sunn pest are made by air by governments, while in others, ground sprays, partially supported by the government, are made by farmers. A single spray will often suffice to control populations effectively. “One of the most significant limiting factors in the production of wheat and barley in many areas of the world is the Sunn pest, Eurygaster integriceps, which causes severe damage to cereal yield. This insect has been observed in >15 million ha of wheat and barley farms, which extend from northern Africa, throughout the Middle East and western Asia, to central Asia and some parts of Russia. The Sunn pest feeds preferentially on wheat. Thus, its damage to wheat is considerably greater than that to barley (i.E., it often causes losses of 20-30% in barley and 50-90% in wheat). Author: Rahimi, V. and A. R. Bandani. Affiliation: University of Tehran, Iran. Title: Comparison of the effects of cereal and legume proteinaceous seed extracts on a-amylase activity and development of the Sunn pest. Source: Journal of Asia-Pacific Entomology. 2014. 17:7-11. Every year around St Patrick’s Day, cabbage becomes a hit again thanks to the traditional meal of corned beef and cabbage. There is typically a 50 to 75% increase in demand for green cabbage beginning about two weeks before the March 17 holiday. California leads the nation in cabbage production accounting for about 24% of total U.S. production. Most of the cabbage from California at this time of the year comes from the state’s southern coast and southwestern desert. In 2010, a new pest of cabbage, the Bagrada bug, made its grand entrance into these desert cabbage fields and threatened the availability of cabbage for St Patrick’s Day. “2010 was a year that many winter cole crop vegetable growers in the Desert Southwest would rather forget, thanks to the bagrada bug which attacked plant seedlings en masse. Since then, research conducted at the University of Arizona and the University of California has led to a better understanding of the pest, its biology, and has helped reduce yield and income losses for growers. When the bagrada bug made its 2010 grand entrance, winter vegetable growers, pest control advisers, and entomologists were stunned. “The pest caught us blind. Suddenly the bagrada bug was everywhere in the desert,” says John Palumbo, University of Arizona (UA) Extension specialist and entomologist based at the Yuma Agricultural Center. 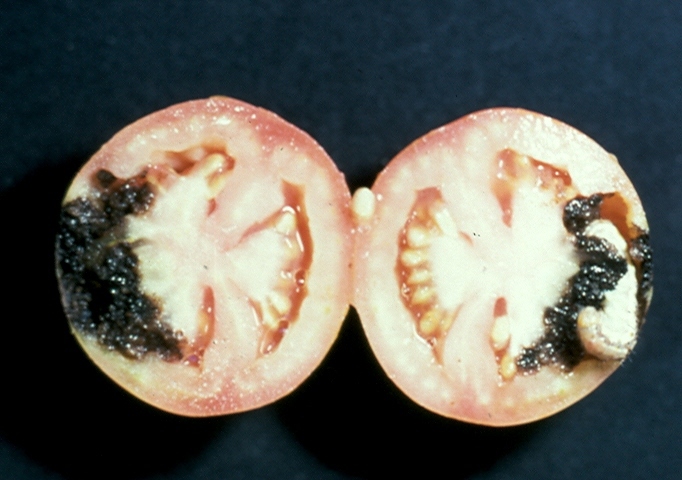 The pest attacks the underside of leaves during the day, and hides at night in the soil and under dirt clods. The bagrada bug can quickly destroy a seedling. In Palumbo’s trials, a single insect placed on a cotyledon killed the plant in about 60 hours under laboratory conditions. In another lab test, small pots were lined up in a row, each containing one of 12 different vegetable seedlings. The bagrada passed right by the head lettuce to feast on cole crops. Its feeding favorites include green cabbage, red cabbage, and radish. If the plant lives, the damaged plant develops multiple unmarketable small heads instead of a single large marketable head or floret. First found in South Africa, the insect arrived in the western hemisphere in the U.S. in 2008 in California; possibly as a stow-a-way on a cargo ship arriving at the Port of Long Beach. The insect then scurried into neighboring Orange County and kept moving. Palumbo has conducted several trials with synthetic insecticides and natural predators. While he said bio-control is a ways off, pyrethroid insecticides currently provide the most effective control. Residual activity usually lasts about five days. The sunflower is the only row crop in North America that coexists with its native ancestors. 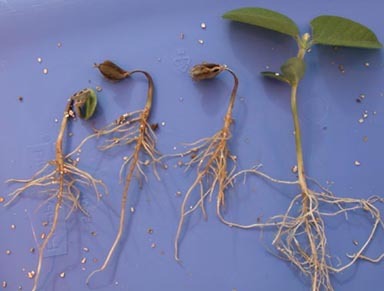 When extensive commercial planting of sunflower began in the 1970s, many of the insects which evolved in native perennial sunflower seed species transferred to the cultivated crop. Red sunflower seed weevils deposit eggs in sunflower seeds and larvae feed on the developing sunflower kernels destroying a portion of the kernel. The larvae make an exit hole and exit the seeds in late summer. Research indicates that most seeds are only partially fed upon. “Several years ago, a set of trade standards were developed for nonoil sunflower kernels. These standards stipulate there should be no more than 10 percent broken kernels; not more than 0.5 percent heat damage; and not more than two percent insect damage. Ornamental plants are big business in the US-$17 billion in retail sales. Ornamental plants provide visual beauty and reduce the stagnation that occurs in everyday work environments. Ornamentals may have a profound effect on observers or occupants. Several studies have shown that ornamentals have a positive impact on an individual’s well-being and emotional stability and may improve productivity. When purchasing an ornamental plant, consumers demand that they be free of insects and insect damage. “The intensive nature of production and aesthetic quality requirements of producing ornamental plants supports the necessity of using pesticides to manage arthropod pests. The use of pesticides is vitally important to the ornamental industry in order economically to prevent the multitude of arthropod pests from damaging plants and at the same time produce quality plant material that may be purchased by consumers/homeowners. Furthermore, the use of pesticides allows ornamental producers successfully to compete in national and international markets. …a single arthropod pest can significantly damage or vector a disease, rendering a crop unmarketable. 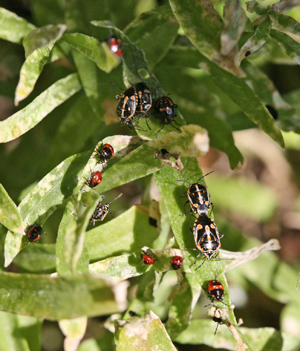 As such, ornamental producers cannot wait for arthropod pest populations to build up to a critical level, and so, in actuality, pesticides serve as an ‘insurance policy’ to manage or regulate the diversity of arthropod pests so that they do not damage ornamental crops. Authors: Bethke, J. A., and Cloyd, R. A.
Affiliations: University of California, and Kansas State University. 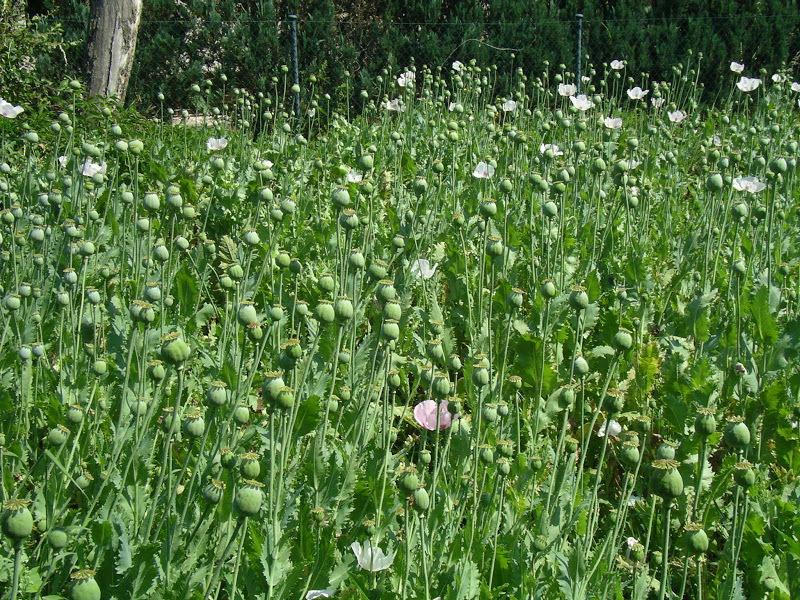 Title: Pesticide use in ornamental production: what are the benefits? 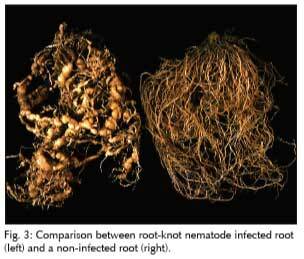 Source: Pest Management Science. 2009. 65:345-350. Louisiana is the top producing sugarcane state accounting for 40% of the nation’s sugarcane production. Approximately 3 billion pounds of raw sugar are produced annually by Louisiana sugar mills. 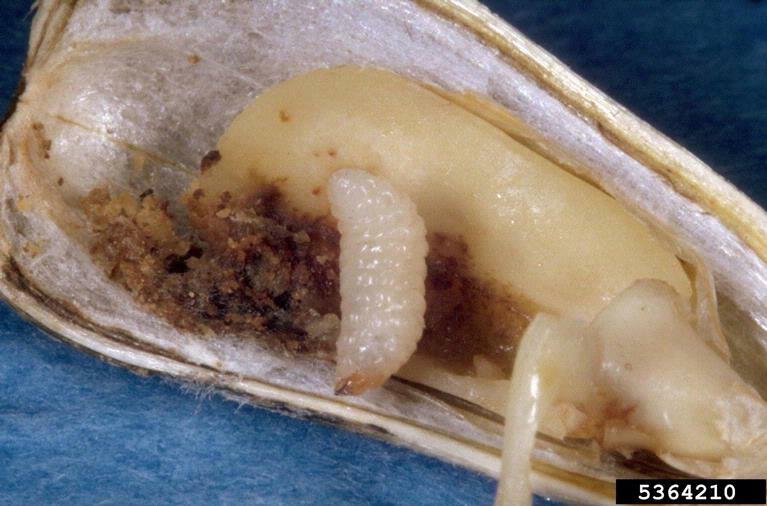 The sugarcane borer is the most damaging insect pest of sugarcane in Louisiana. The larvae bore into the plant where they feed on the central tissue. Borers make tunnels up and down the stalk. The size and weight of the stalks are decreased. Sugarcane borers in Louisiana are controlled by an integrated system that consists of spraying insecticides, planting varieties with some resistance and by natural enemies of the borer. The most important natural enemy of the borer is the red imported fire ant. Typically, the predation of fire ants contributes an estimated savings of two insecticide sprays. However, when the sugarcane fields are flooded by hurricanes, the fire ants are negatively affected and insecticide use has to increase. “On 24 September 2005, Hurricane Rita made landfall on the extreme southwestern coast of Louisiana near the border with Texas as a Category 3 hurricane. Twelve thousand to 16,000 ha of sugarcane produced in south Louisiana were flooded by saltwater from Hurricane Rita storm surge. 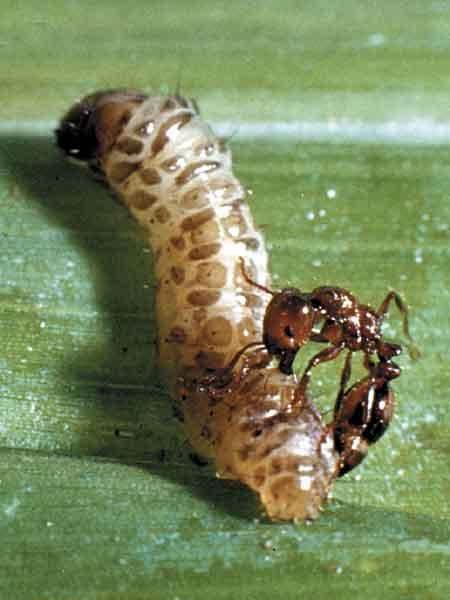 During spring 2006, sugarcane growers and contracted agricultural consultants began observing that flooded areas seemingly had more [sugarcane borer] infestations, which might require earlier and more frequent insecticide applications for D. saccharalis control. This study showed that growers had to treat more (2.4-fold increase) in zones impacted by the hurricane storm surge. S. invicta [red imported fire ant] seemed to be negatively impacted 10-12 mo after the areawide habitat disruption caused by the storm surge flooding. When plunged into freshwater, S. invicta individuals gather and form floating clusters that can drift for more than a week without drowning. However… S. invicta is susceptible to saltwater, sinking within 30 min when in 3.5% saltwater (approximately equal to seawater), and within 48 h in 1% saltwater. …Susceptibility to saltwater flood and limited dispersal abilities may explain why S. invicta was negatively impacted by the storm surge and slow to recover back to prehurricane population levels. Authors: Beuzelin, J.M., et al. Source: Journal of Economic Entomology. 2009. 102:1054-1061. Certain scale insect species feed by sucking juices from citrus trees. 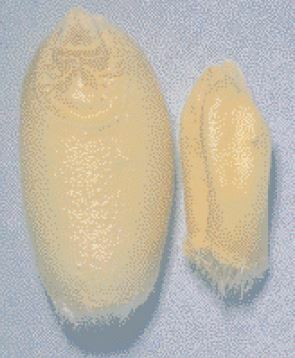 Each mature citricola scale produces more than 1000 eggs which hatch into crawlers that settle on the trees. 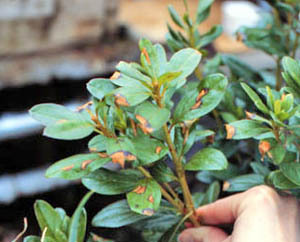 A severe infestation may reduce tree vigor, kill twigs and reduce flowering and fruit set. In southern California, citricola scale is not a problem because they are parasitized by a wasp that lays its eggs in the scale bodies. The wasp eggs hatch and the tiny wasps consume the insides of the scale. 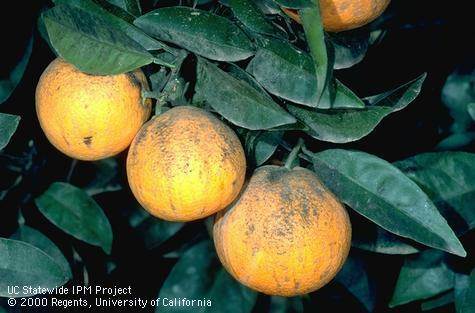 However, these deadly parasites are not effective in the San Joaquin Valley where 70% of California’s oranges are grown. “Citricola scale is a voracious pest that in high numbers can dramatically reduce yield. A typical Valencia orange tree can produce 325 oranges per tree. If there are 10 citricola scale per twig, yields can drop by 70 fruit per tree, a yield loss of more than 20 percent. The only effective control method in the valley is insecticide treatments. The parasitic wasp that is an effective biological control in Southern California citrus does not control the pest in the valley because of the high populations of scale produced under hotter valley conditions.